Sri Aurobindo once claimed, somewhat humorously, that he had been a poet and a politician, but never a philosopher. That he was first and last a poet is beyond doubt. His earliest poems were written in 1890, while he was a student in England, and his revisions to Savitri continued until he left his body in 1950. G.S. Pakle’s new book Image, Symbol and Myth in Sri Aurobindo’s Poetry, which is introduced below, examines Sri Aurobindo’s use of these poetic devices through the entire range of his poetry. Beginning with a literary survey of the terms image, symbol, and myth, this critical study of Sri Aurobindo’s poetry sets his unique use of these devices in the context of English poetic development. 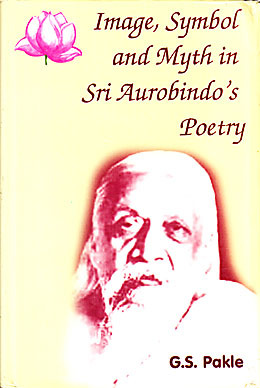 The author analyses Sri Aurobindo’s use of imagery and symbolism by examining in detail the entire range of his poetry. He concludes by placing Sri Aurobindo as one of the greatest symbolists of modern English poetry for the way he uses image, symbol and myth to represent not only past and present realities but also the future. This fusion creates a new poetic mode, crafted to express Sri Aurobindo’s spiritual vision of the future. In his role as a Secretary of the Sri Aurobindo Society, the author has travelled widely and addressed many different types of audiences, often introducing his listeners to Sri Aurobindo’s thought and integral yoga. This book is a collection of Bhattacharjee’s lectures and talks dealing with a range of topics: Sri Aurobindo’s vision of the future society, human unity, human evolution, integral education, what it means to do the Mother’s work, Sri Aurobindo’s role in the movement of national awakening, and two of Sri Aurobindo’s major works, The Life Divine and Savitri. Surendra Nath Jauhar had a long and intimate contact with the Mother from 1939 till she left her body. This book contains 101 anecdotes of his encounters with the Mother in which she is revealed in her multitudinous facets. Translation of a part of Hymns to the Mystic Fire by Sri Aurobindo: "Foreword", "The Doctrine of the Mystics", and "Mandala One". Telugu translation of Dawn to Greater Dawn: six lectures on Sri Aurobindo's Savitri.